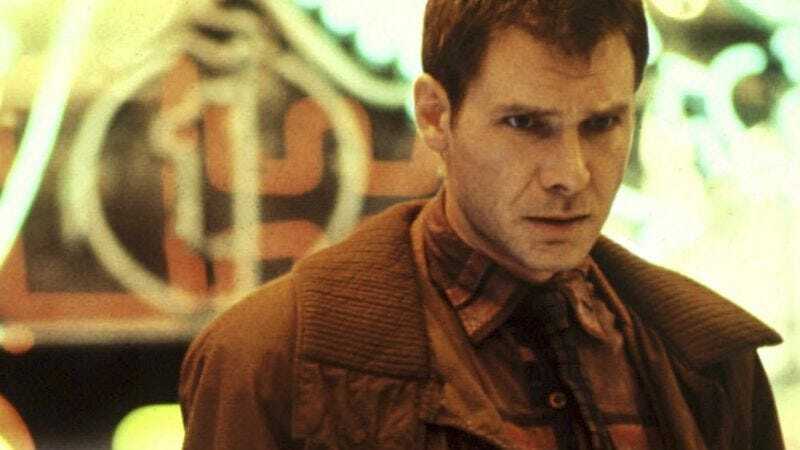 With Sony Pictures rarin’ to go and distribute the film internationally, Variety reports that principal photography on the Blade Runner sequel will begin in July, with a release date set for January 12, 2018. While a follow-up has probably been in some form of development (even as a pipe dream) since the release of the original film, the production has really gained traction in the last 12 months or so: First, Denis Villenueve (Sicario) boarded the film as director, then Harrison Ford “yeah, sure’d” his way into reprising his role as Rick Deckard. And once Ryan Gosling confirmed rumors that he would in fact star in the film, it seemed that all that was left was for Villenueve and executive producer Ridley Scott to just shoot the thing already—the film, that is, not any possible replicants. There isn’t much info available about the story or script, which was written by Hampton Fancher (who co-wrote on the original) and Michael Green, but the action will pick up “several decades” after the events of the first film.